This competition (the “Competition”) is operated by Karmel Food Limited, 18A Pindock Mews, London W9 2PY, (“Annabel Karmel”). Fill in the form on the competition page with valid answers. The promotion is open to UK residents aged 18 and over. The competition closes at 11.59pm on the 10th December 2016 and any entries must be submitted prior to that time. The winner will be selected and contacted directly via email. The winner will be contacted by notified via a message on Facebook and will be asked to provide their e-mail address by this means. You may only enter this Competition once. If you enter more than once, all of your entries (including your first entry) may be deemed invalid. By entering the competition users consent to their name being mentioned in a post on the Annabel Karmel and Lucy&Belle Facebook/Instagram page should they win. The winner will be selected at random and we will contact the winner by 5pm GMT on 11th December 2016 and prize courtesy of Lucy & Belle will be delivered to the recipient within 3 weeks of the competition draw and will either be in Grey or Beige design depending on stock availability. Employees of Annabel Karmel, and any third parties involved in the preparation and/or performance of this Competition, and their families are not eligible for entry into this Competition. 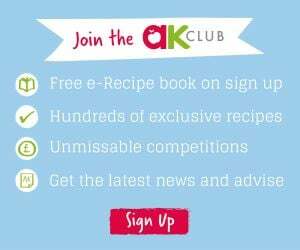 Annabel Karmel reserves the right at any time to cancel, modify or supersede the competition (including altering prizes) if, at its sole discretion, a competition cannot be conducted as specified. Annabel Karmel reserves the right to substitute a prize of equal value in the event that circumstances beyond its control make this unavoidable. Prizes are non-transferable and cannot be exchanged for a cash alternative.